Boiled wool as a modernized form of the oldest fabric known to mankind. 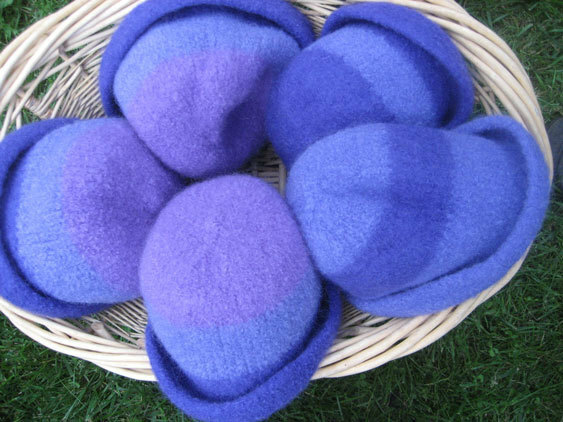 These hats are hand knit from a super-soft wool/mohair blend, then washed in hot water, hand shaped and air dried. These hats are created with a loving hand and will be cherished for a lifetime.